Previous Previous post: OSFI announcement: HELOCs cut to 65%, partial re-qualifying for mortgages at renewal time..
Next Next post: Does this sound like your Bank? Once again, great article Steve. I have clients that were contacted with offers to early renew or told to lock into fixed rates… both options haven’t been beneficial for borrower’s for the last 10 yrs… where are the Bank’s to take responsibility for their actions? I have one client that was told to lock into a 5 yr fixed at 5.95% just after the Oct 2008 U.S. sub-prime mortgage crisis… he exited a Variable rate at prime less 0.75%…. now he wants to get into today’s low fixed rate products… he’s told it will cost him $10,000 to get out of… My $$s are earned by saving borrowers money… maybe we should ask the Banker’s where they make their money from? 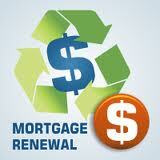 CanadaMortgageNews.ca Beware of your Bank’s ‘special’ renewal offer…. it could cost you dearly.